I was in Fifth Grade when I graduated from using baby powder on my face and blending it with my handkerchief to using my very first "makeup," an Avon Teen Colors (now known as Simply Pretty) Pressed Powder in White. Add to that my Avon Teen Colors Lip Balm and I felt so pretty and mature, like I could take over the world. If a compact and a lip balm had that effect on me, just imagine how I felt when I was in sophomore year and my Mom bought me another Pressed Powder from the same Avon Teen Colors line - this time in Pink! I was beside myself in excitement for my first "blush"! Blame Avon for igniting the spark of my interest for beauty and personal care products. 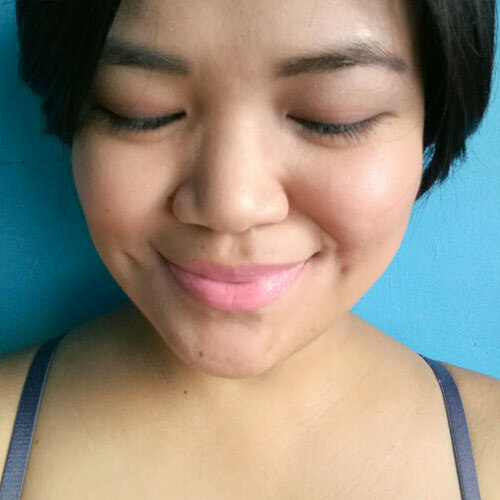 My love for makeup now can be traced to that rush I felt the first time I opened my first compact, swiped on my first lipstick, and applied my first clear mascara - all from the Avon Teen Colors line. 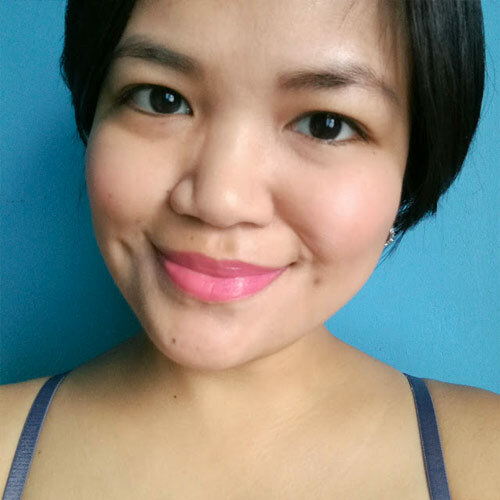 A truckload of makeup later, I still feel like the same wide-eyed girl who's amazed by the boost of confidence a perfect swipe of lipstick can bring. Even with my current makeup collection, Avon cosmetics have a special place in my heart because of my early memories with the brand, even more so because they are shared with my Mom, who used to be an Avon Lady. Yes, my childhood memories are laced with whiffs of Imari, Sweet Honesty, and Forest Interlude. This love was strengthened further back in 2012 when I was invited to visit their plant in Laguna and I witnessed Avon's stringent quality control, the efficiency and precision of their machines, their discipline when it comes to hygiene and sanitation, and the way they put importance to their employees' well-being and recreation. 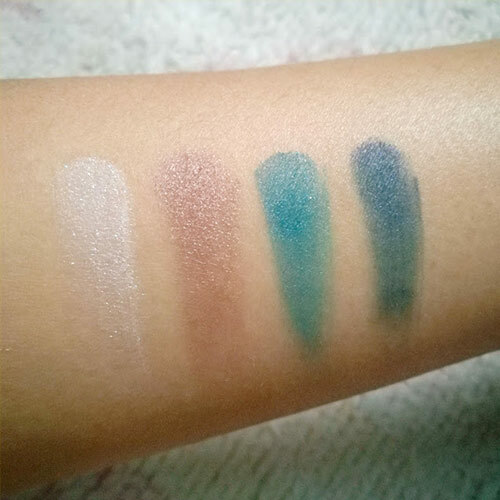 I recently got the opportunity to revisit Avon and its rebranded True Color line and suddenly I felt like I was that wide-eyed girl again, curious of all the wonderful colors in front of me! Avon True Color promises true colors that are easy to apply and last for hours, fuss-free, and affordable. There's comfort in familiarity with a brand that has been around since I was a tween, yet it's also exciting because of the new promises it holds. 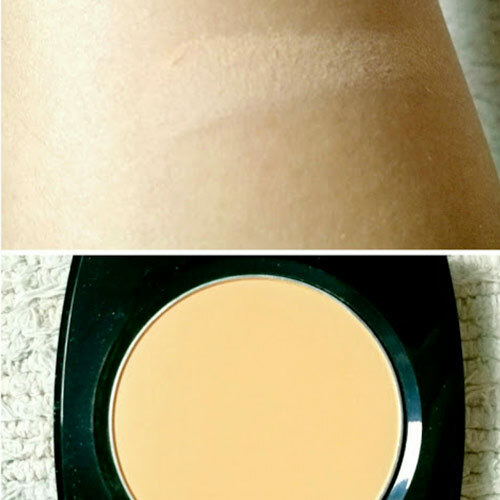 Avon True Color Oil Control Plus Dual Powder Foundation SPF24/ PA++ (P289) in Neutral is a perfect match for my skin tone! 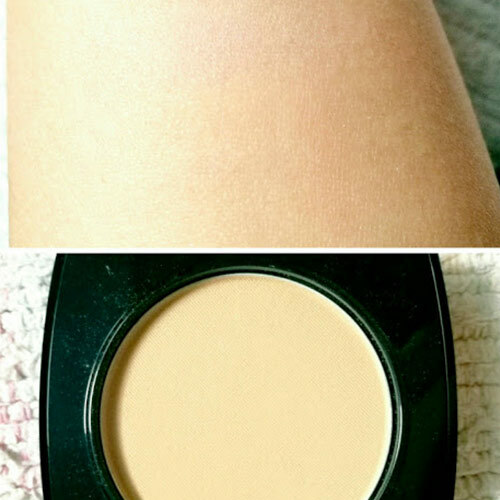 It can be applied dry for a light coverage and wet for slightly heavier coverage. 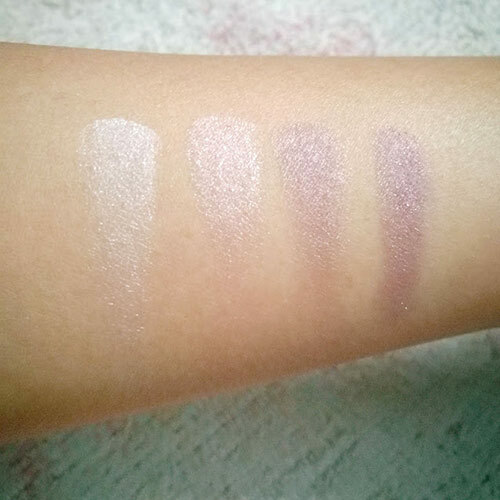 This swatch of Avon True Color Skin Goodness CC Powder SPF30 (P299) is a little too light for me but there's nothing good blending can't fix. It provides instant color correction in powder form and contains maximum levels of some of Avon's most potent brightening skin care technology. With SPF 35. 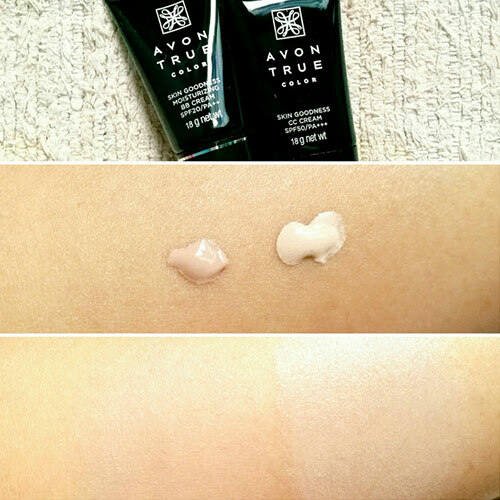 Avon True Color Skin Goodness CC Cream SPF50/ PA+++ (P399) is a lightweight foundation, 24-hour moisturizer, and SPF 50 protection in one color corrector while the Skin Goodness Moisturizing BB Cream SPF 20/PA++ (P399) hydrates with Moisture Essence and nurtures with vitamins A, C, and E. These are perfect for me since I don't put foundation every day. Heavy makeup is reserved for special events, while BB Creams and CC Creams are for my everyday no-nonsense makeup looks. 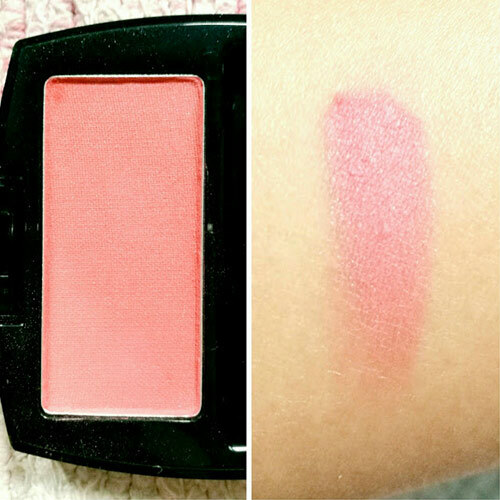 Avon True Color Luminous Blush in Rose Luster (P370). I love its pop of fresh color and micro-shimmers that leave a luminous effect. 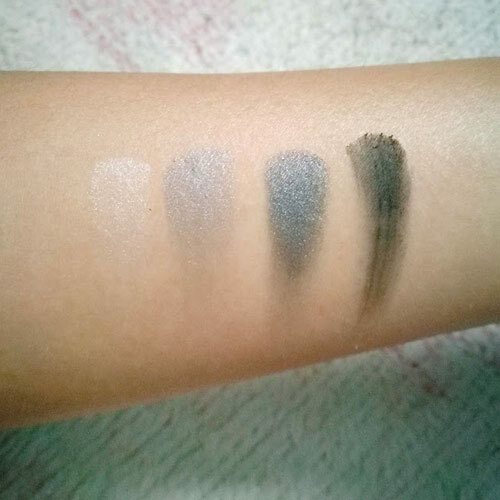 Avon True Color Eyeshadow Quads (P399 each) let you create an effortlessly beautiful eye look. It's formulated with True Color Technology and promises all day crease-proof wear that stay true to its color on the pan. The colors are also easy to blend and are buildable, however I would still suggest that you use a primer for these. Avon True Color Lipstick contains Color Awakening Technology. I love how vibrant the pigments are! 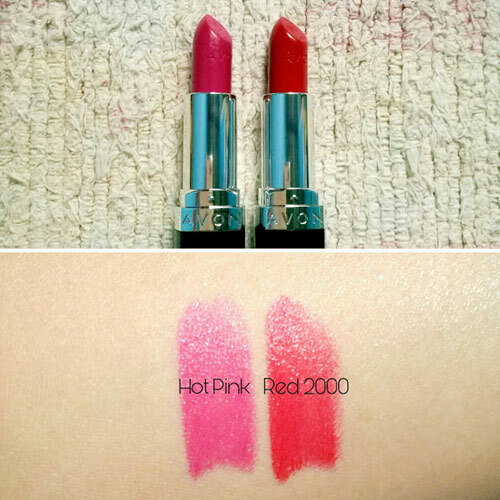 Avon Perfectly Matte Lipstick (P399 each) gives 100% true matte look with lasting comfort. 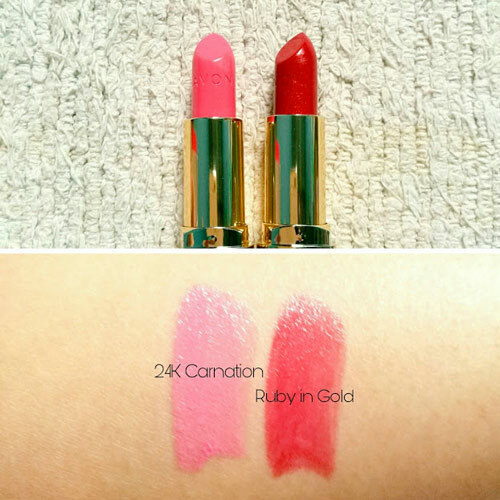 Avon 24K Gold Lipsticks (P399 each) are a bit sheer, but enriched with real gold for instantly luxurious, glistening color. 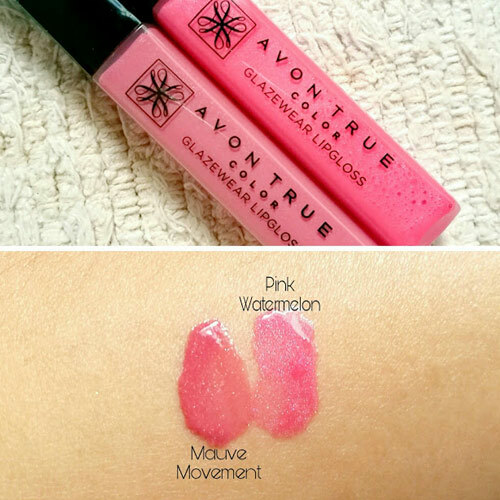 Avon True Color Glazewear Lipgloss (P299 each) gives high gloss shine and rich, saturated color with hydrating, weightless, and creamy texture so lips feel moisturized and smooth instantly. 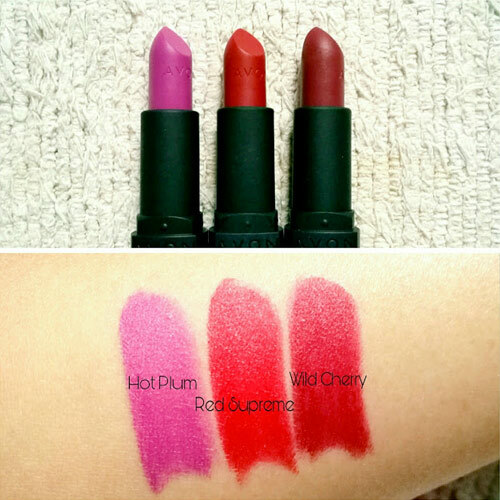 You can use it alone or on top of your favorite lipstick. Aside from its promises of delivering colors that are true to pan and true to tube, Avon products are also dermatologist tested, non-comedogenic, and clinically tested. 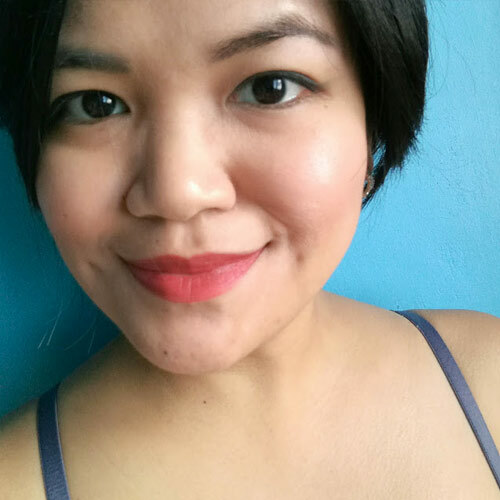 I put these products to the test and prepared three FOTDs for you. This is how I usually look like when I don't have anything special planned yet I still want to look polished and prepared for unexpected curve-balls life might decide to throw at me. For this look I used the Skin Goodness Moisturizing BB Cream SPF 20/PA++ all over my face, a light dusting of Avon True Color Luminous Blush in Rose Luster on my cheeks, and a swipe each of Avon True Color Lipstick in Hot Pink and Avon True Color Glazewear Lipgloss in Pink Watermelon on my lips. I make the effort of looking extra nice when I'm seeing my boyfriend, and this is my date FOTD. For this I used Avon True Color Skin Goodness CC Powder SPF30 all over my face using a powder brush, Avon True Color Luminous Blush in Rose Luster on my cheeks, Avon True Color Eyeshadow Quad in Romantic Mauve on my eyelids, and Avon 24K Gold Lipstick in 24K Carnation on my lips. I work in PR and this is my #girlboss face. For this I used Avon True Color Oil Control Plus Dual Powder Foundation SPF24/ PA++ all over my face using a powder brush, Avon True Color Luminous Blush in Rose Luster on my cheeks, #3 and #4 shadows from the Avon True Color Eyeshadow Quad in Glow Teal as eyeliner, and Avon Perfectly Matte Lipstick in Wild Cherry on my lips.